Should there be a tax on red meat? 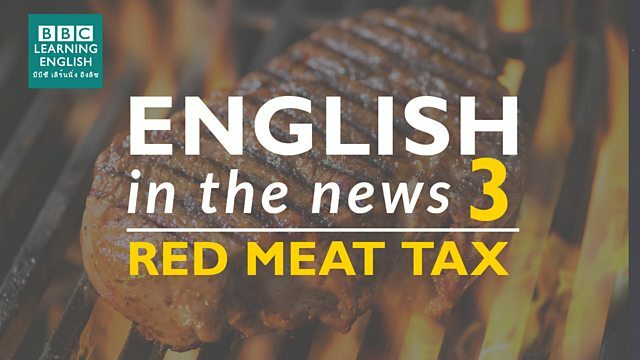 Join Sian and Clare to find out why scientists are recommending a red meat tax and to learn three great meat idioms! What expression can we use when you save someone from a difficult situation? Jack let me borrow his notes and helped me finish my essay in time! He really saved my ______ ! What expression means 'to make something stronger or more powerful'? I think Dale is trying to ______ - he's going to the gym 4 times a week and drinking lots of protein shakes! It's not a positive thing! You have beef with your best friend. What does this mean?